Palagi, S., Walker, D. Q. T., Fischer, P.
Nanorobots are untethered structures of sub-micron size that can be controlled in a non-trivial way. Such nanoscale robotic agents are envisioned to revolutionize medicine by enabling minimally invasive diagnostic and therapeutic procedures. To be useful, nanorobots must be operated in complex biological fluids and tissues, which are often difficult to penetrate. 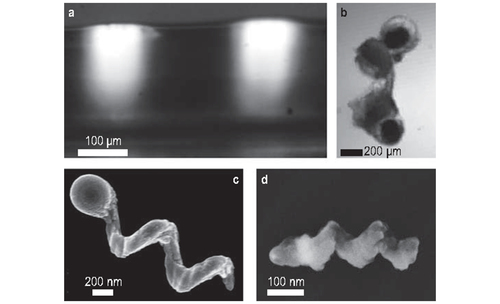 In this chapter, we first discuss potential medical applications of motile nanorobots. We briefly present the challenges related to swimming at such small scales and we survey the rheological properties of some biological fluids and tissues. We then review recent experimental results in the development of nanorobots and in particular their design, fabrication, actuation, and propulsion in complex biological fluids and tissues. Recent work shows that their nanoscale dimension is a clear asset for operation in biological tissues, since many biological tissues consist of networks of macromolecules that prevent the passage of larger micron-scale structures, but contain dynamic pores through which nanorobots can move. Haptics is an interdisciplinary field that seeks to both understand and engineer touch-based interaction. Although a wide range of systems and applications are being investigated, haptics researchers often concentrate on perception and manipulation through the human hand. A haptic interface is a mechatronic system that modulates the physical interaction between a human and his or her tangible surroundings. Haptic interfaces typically involve mechanical, electrical, and computational layers that work together to sense user motions or forces, quickly process these inputs with other information, and physically respond by actuating elements of the user’s surroundings, thereby enabling him or her to act on and feel a remote and/or virtual environment. Wichmann, F. A., Jäkel, F.
Jayaram, V., Fiebig, K., Peters, J., Grosse-Wentrup, M.
Palagi, S., (Walker) Schamel, D., Qiu, T., Fischer, P.
Peters, J., Lee, D., Kober, J., Nguyen-Tuong, D., Bagnell, J., Schaal, S.
Prokudin, S., Kappler, D., Nowozin, S., Gehler, P.
Most object detection systems consist of three stages. First, a set of individual hypotheses for object locations is generated using a proposal generating algorithm. Second, a classifier scores every generated hypothesis independently to obtain a multi-class prediction. Finally, all scored hypotheses are filtered via a non-differentiable and decoupled non-maximum suppression (NMS) post-processing step. 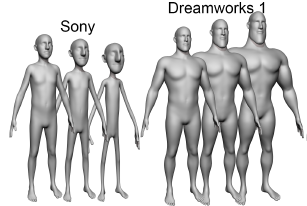 In this paper, we propose a filtering network (FNet), a method which replaces NMS with a differentiable neural network that allows joint reasoning and re-scoring of the generated set of hypotheses per image. 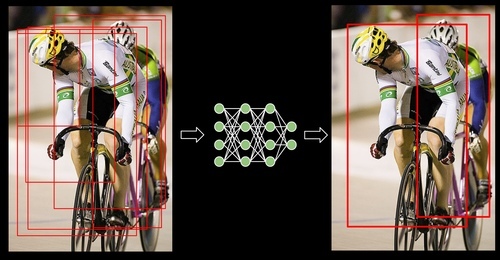 This formulation enables end-to-end training of the full object detection pipeline. First, we demonstrate that FNet, a feed-forward network architecture, is able to mimic NMS decisions, despite the sequential nature of NMS. We further analyze NMS failures and propose a loss formulation that is better aligned with the mean average precision (mAP) evaluation metric. We evaluate FNet on several standard detection datasets. Results surpass standard NMS on highly occluded settings of a synthetic overlapping MNIST dataset and show competitive behavior on PascalVOC2007 and KITTI detection benchmarks. Peters, J., Tedrake, R., Roy, N., Morimoto, J.
Flad, N., Fomina, T., Bülthoff, H. H., Chuang, L. L.
Nestmeyer, T., Robuffo Giordano, P., Bülthoff, H. H., Franchi, A.
Dominey, P. F., Prescott, T. J., Bohg, J., Engel, A. K., Gallagher, S., Heed, T., Hoffmann, M., Knoblich, G., Prinz, W., Schwartz, A. 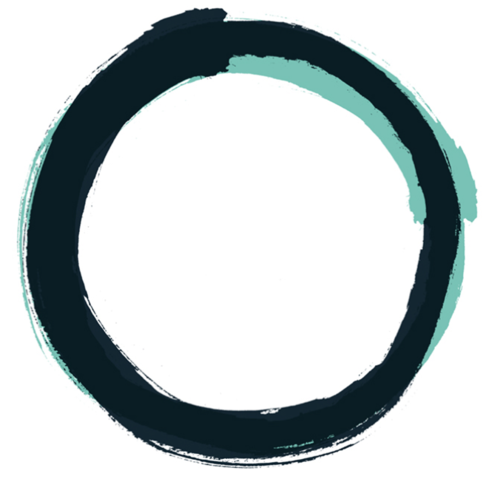 An action-oriented perspective changes the role of an individual from a passive observer to an actively engaged agent interacting in a closed loop with the world as well as with others. Cognition exists to serve action within a landscape that contains both. This chapter surveys this landscape and addresses the status of the pragmatic turn. Its potential influence on science and the study of cognition are considered (including perception, social cognition, social interaction, sensorimotor entrainment, and language acquisition) and its impact on how neuroscience is studied is also investigated (with the notion that brains do not passively build models, but instead support the guidance of action). 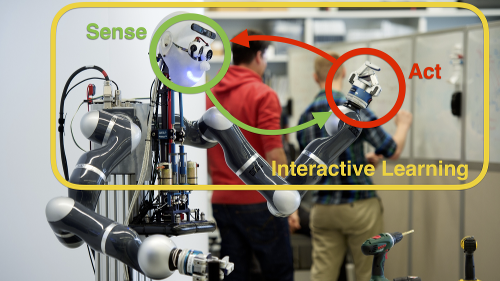 A review of its implications in robotics and engineering includes a discussion of the application of enactive control principles to couple action and perception in robotics as well as the conceptualization of system design in a more holistic, less modular manner. Practical applications that can impact the human condition are reviewed (e.g. educational applications, treatment possibilities for developmental and psychopathological disorders, the development of neural prostheses). All of this foreshadows the potential societal implications of the pragmatic turn. The chapter concludes that an action-oriented approach emphasizes a continuum of interaction between technical aspects of cognitive systems and robotics, biology, psychology, the social sciences, and the humanities, where the individual is part of a grounded cultural system. Since the 1950s, robotics research has sought to build a general-purpose agent capable of autonomous, open-ended interaction with realistic, unconstrained environments. Cognition is perceived to be at the core of this process, yet understanding has been challenged because cognition is referred to differently within and across research areas, and is not clearly defined. The classic robotics approach is decomposition into functional modules which perform planning, reasoning, and problem-solving or provide input to these mechanisms. Although advancements have been made and numerous success stories reported in specific niches, this systems-engineering approach has not succeeded in building such a cognitive agent. The emergence of an action-oriented paradigm offers a new approach: action and perception are no longer separable into functional modules but must be considered in a complete loop. This chapter reviews work on different mechanisms for action- perception learning and discusses the role of embodiment in the design of the underlying representations and learning. It discusses the evaluation of agents and suggests the development of a new embodied Turing Test. Appropriate scenarios need to be devised in addition to current competitions, so that abilities can be tested over long time periods. 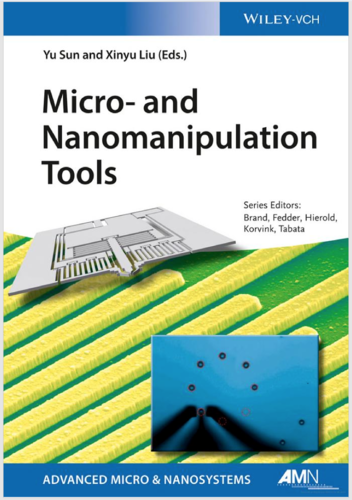 This chapter discusses the methods and state of the art in microscale manipulation in remote environments using untethered microrobotic devices. It focuses on manipulation at the size scale of tens to hundreds of microns, where small size leads to a dominance of microscale physical effects and challenges in fabrication and actuation. 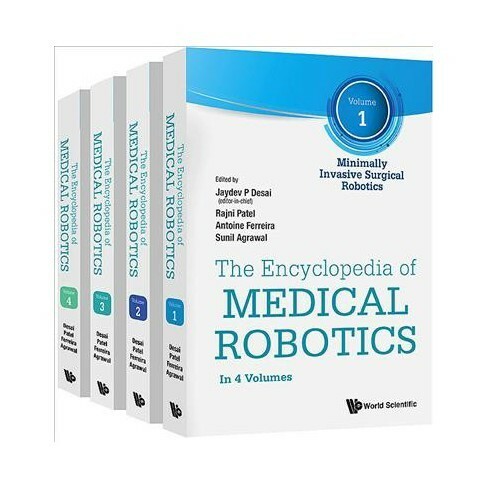 To motivate the challenges of operating at this size scale, the chapter includes coverage of the physical forces relevant to microrobot motion and manipulation below the millimeter-size scale. It then introduces the actuation methods commonly used in untethered manipulation schemes, with particular focus on magnetic actuation due to its wide use in the field. 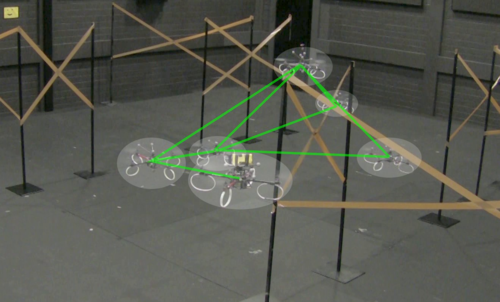 The chapter divides these manipulation techniques into two types: contact manipulation, which relies on direct pushing or grasping of objects for motion, and noncontact manipulation, which relies indirectly on induced fluid flow from the microrobot motion to move objects without any direct contact. Janzing, D., Steudel, B., Shajarisales, N., Schölkopf, B.
Peters, J., Lee, D., Kober, J., Nguyen-Tuong, D., Bagnell, J. A., Schaal, S.
Schultz, T., Fuster, A., Ghosh, A., Deriche, R., Florack, L., Lim, L.
Schultz, T., Vilanova, A., Brecheisen, R., Kindlmann, G.
Diller, E., Ye, Z., Giltinan, J., Sitti, M.
Martius, G., Der, R., Herrmann, J. M.
Righetti, L., Buchli, J., Mistry, M., Kalakrishnan, M., Schaal, S.
The development of legged robots for complex environments requires controllers that guarantee both high tracking performance and compliance with the environment. More specifically the control of contact interaction with the environment is of crucial importance to ensure stable, robust and safe motions. In the following, we present an inverse dynamics controller that exploits torque redundancy to directly and explicitly minimize any combination of linear and quadratic costs in the contact constraints and in the commands. Such a result is particularly relevant for legged robots as it allows to use torque redundancy to directly optimize contact interactions. For example, given a desired locomotion behavior, it can guarantee the minimization of contact forces to reduce slipping on difficult terrains while ensuring high tracking performance of the desired motion. The proposed controller is very simple and computationally efficient, and most importantly it can greatly improve the performance of legged locomotion on difficult terrains as can be seen in the experimental results. Toussaint, M., Storkey, A., Harmeling, S.
Onal, C. D., Ozcan, O., Sitti, M.
Gall, J., Razavi, N., van Gool, L.
Weiss, A., Hirshberg, D., Black, M. J.
Stierle, A., Carstanjen, H.-D., Hofmann, S.